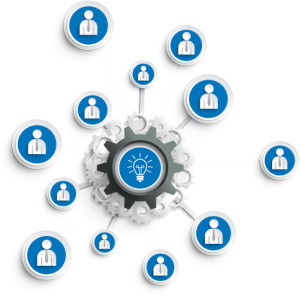 Auric Prospector is a CRM solution designed with the focus on integrating and bridging people and processes. The On-Demand customer management system empowers you with knowledge and insights to deliver the best of customer experiences. 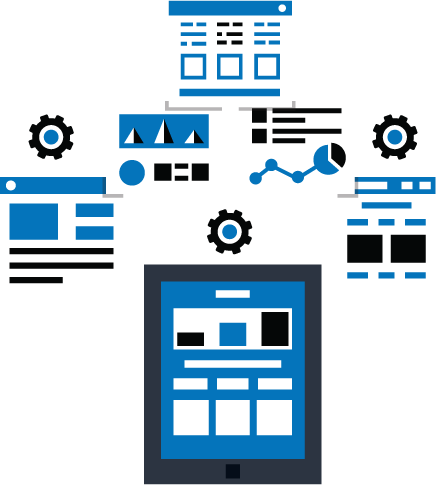 Auric’s web-based CRM software offers seamlessly innovative operations across marketing, sales, and customer service, accelerating your business solutions and transforming customer relationships for the better. You can avail the small business software in the form of an Application Service Provider (ASP), i.e. the Prospector software is housed and maintained at Auric Technology on our computers. All you need to do is log in to enjoy Zero IT Costs. Arm your sales professionals with a simple solution: an easy-to-use Sales Force automation interface. Inspect the entire sales cycle as if with a magnifying glass, right from the prospect stage to closing the deal. While intuitive analytic reports and 360-degree visibility into the sales pipeline drive managers to display accurate sales forecasts, powerful data-centric reports can swiftly reveal program effectiveness and easily account for the ROI on marketing campaigns. Cut the need for that extra effort taken by your sales professionals to compile information and communicate. With Auric Prospector’s offline application, touring salespeople can synchronize information with Outlook in just a click. Now you can bridge over all the redundant tasks and track and manage opportunities on a single platform. 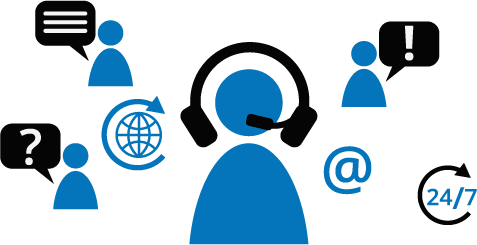 Auric Prospector streamlines your support services through the right triggers, prompts and automations intent on saving maximum time. The solution automates the entire workflow, which includes managing your team’s daily to-do lists as well. Enjoy granular visibility into case details & their statuses and enjoy fast access to the information (pre & post sales). This equips your team to know your customers, start meaningful conversations, and provide quality customer support. Gain the power to reduce your customer attrition rate by tracking each case through to its resolution. Customers can easily login, record, and track their own customer service issues. It is a quick way for the users to access information and remain updated. For the customer service team, it is a simple way to prevent our customers from getting irritated and bridge the gap with them to avoid any sort of miscommunication. Auric Prospector is the solution that upgrades your organization – from keeping customers satisfied to making them loyal. 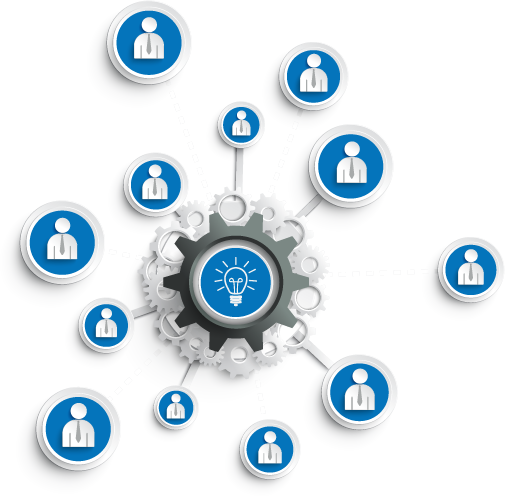 The business management software is designed to upload a vast aggregate of contacts and give you a full view of the connections. You can effortlessly capture and store the information (files, notes, etc.) exchanged in emails, phone calls, meetings and more. Auric makes it easy for you to organize the contacts and information, and lets you obtain a clear perspective of your connection. It converts contacts to real people. Sales professionals tell us when they started with Auric’s Contact Management module, they were able to handle 70-90% more business because of intuitive data organization and logging of tasks and interactions. Compiling a marketing list from existing customers or sifting through your contacts has never been easier or faster! If Auric Prospector makes managing contacts an easy task, then it is safe to say that integrating them with Outlook and a number of other applications will make your work much easier. The richly-featured suite bridges information and insights for building productive, positive, and personal customer relationships. Auric Prospector offers a wide range of comprehensive reports that let you uncover the story behind numbers. With our online CRM software, the management will be armed to focus on resources, optimize the company’s sales efforts, and make effective decisions. The powerful analytical tool produces intuitive reports that visibly explain trends, patterns, and comparisons in sales, marketing, and customer support. The innovative report-setup screen comes with the flexibility to define and segment your sales force automation reports. Enjoy the liberty to run each report in three different formats – summary, short, and detailed. 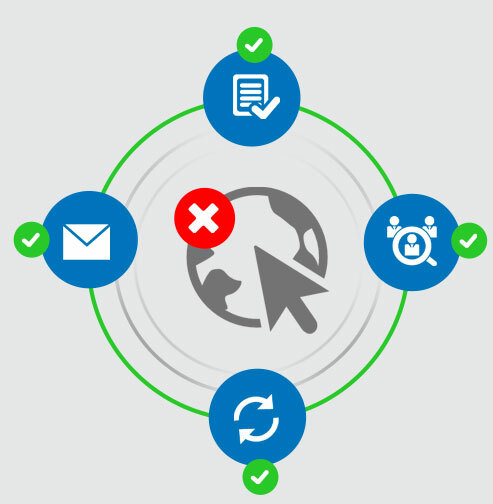 Decrypt the reports and be on the way to better data-driven decisions. Stalled Prospects: Your early warning system that helps you identify prospects not progressing through the sales cycle as per your expectations. Sales Cycle Analysis: An analysis of prospect progress through the sales cycle to identify potential problems before they occur with a prospect. Lost Reasons Analysis: An extremely powerful report that lets you drill down to the causes of lost sales. The report will help you identify the root causes of lost sales by accumulating them by reason statistics, and then further breaking those categories down to take focused corrective actions. Pipeline Holes: Gives you a view of the future, bringing your attention to pipeline holes, while there is still time to address and correct them. Sales Date Reality Check: One of your data cleaning reports, helping you early to identify prospects that do not have realistic forecasts, given their sales-cycle position, forecasted contract, and ship dates. Won Sales Analysis: This report lets you track trends in your Won sales. It also gives a view on how your sales force performs on small $ vs. large $ prospects. Lost Sales Analysis: This report lets you track trends in your Lost sales. It also gives a view on how your sales force performs on small $ vs. large $ prospects. Won/Lost Sales Trend Analysis: This report lets you track trends in your Won to Lost sales ratio. It also gives a view on how your sales force performs on small $ vs. large $ prospects. 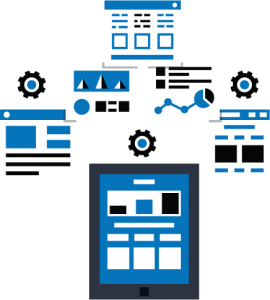 User Performance: Lists performance metrics for each user over a specified period. The report will help you to identify your star performers as well as those who need additional attention. Individual User Performance: Lists performance metrics for each user by period. The report will help you to identify trends in your staff’s performance. Sales Forecast: This report gives an objective sales forecast, specified by period, based on the management’s sales-cycle win% estimates and the existing pipeline. Contribution Forecast: This report gives an objective contribution forecast, specified by period, based on the management’s sales-cycle win% estimates and the existing pipeline. Historical Win% Analysis: Calculates the win% for each sales-cycle step based on your company’s historical data. The report also provides a comparison between the calculated win%s and the management’s estimated win%s. Over time, as the amount of historical data increases, the accuracy of the calculated win%s will improve and the management should adjust their estimated win%s accordingly. The innovative report setup screen will afford you the flexibility to define and segment your sales force automation reports, making it easy to identify and analyze the story behind the numbers. Each report may be run in 3 formats (summary, short and detailed), so that you can select the level of detail required. The Sales Administration feature of Auric Prospector gets all your sales processes inspected on a single platform. 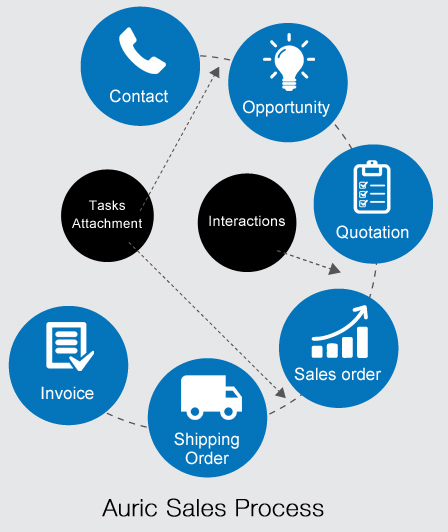 From purchase orders to invoicing, all your sales-related activities are covered by the solution. 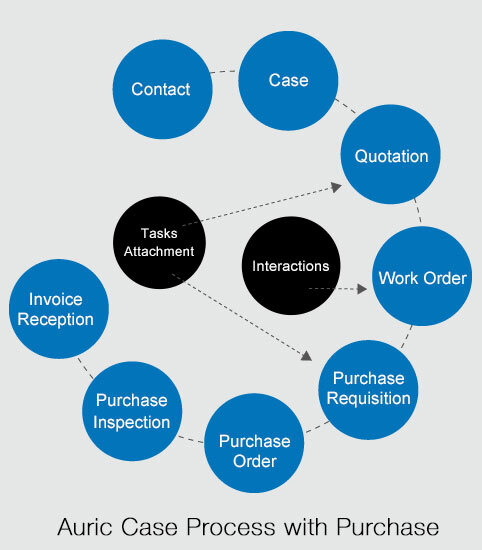 Be smart in understanding the position of your customers in the sales cycle. Be it leads, prospects, or existing customers, the software gives you a clear picture for decisive, precise, and prompt actions. The CRM tool not only manages your opportunities, cases, and contacts link, but oversees the entire sales administration and visibly bridges resources and processes. Get an objective view of the purchase process and make more controlled and data-driven decisions. 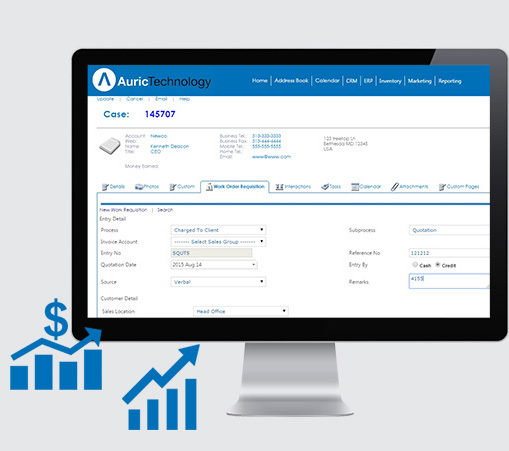 Auric Prospector gives you the power to control every step in the purchase process, including Purchase Requisition, Purchase Order, Purchase Inspection, and Purchase Invoice. It allows you to streamline and optimize your entire purchase process, while integrating all business functions and keeping in sync with real-time and centralized data. A powerful tool, Inventory Management is efficient in managing warehouses and stock rooms. 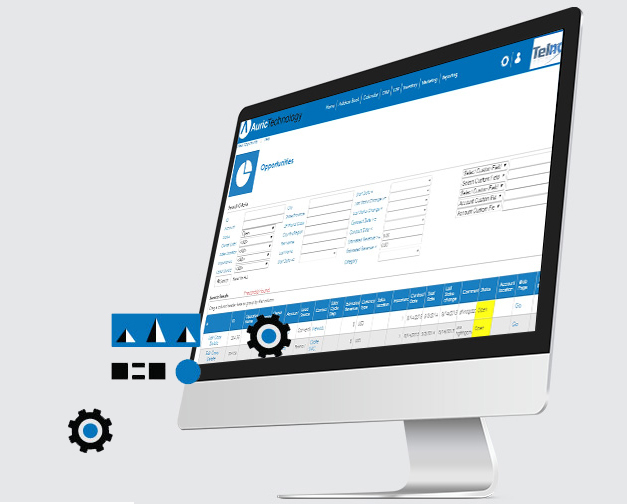 The software can be used to track your parts, stocks and units, exhibit minimum and maximum inventory and reorder levels, and integrate the data with quotations, sales, and purchase processes. The tool is capable of drawing up a price list for your quotations. 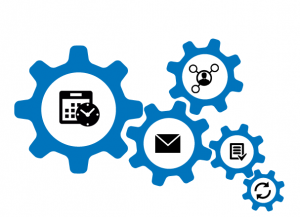 Enhance customer service, deliver on time, and maximize efficiency with automated and integrated functions. They alert you on stock-outs, help you reduce shortages, and let you rely on real-time inventory reports, connecting your costs and conveniences. 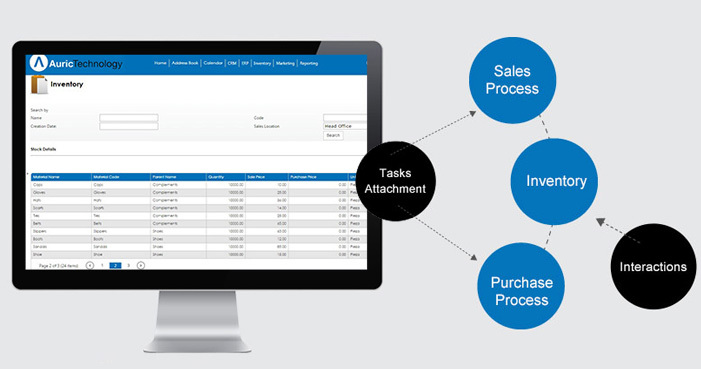 With Auric Prospector’s mid and small-business inventory management module, all inventory-related activities can be integrated with pre-sales and post-sales activities, allowing implementation on a single platform. 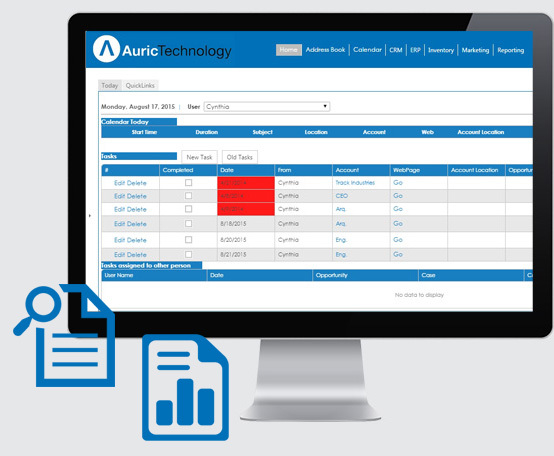 As long as Auric Prospector is installed in your system, your employees need not worry about the absence of an internet connection or missing out on data because of it. 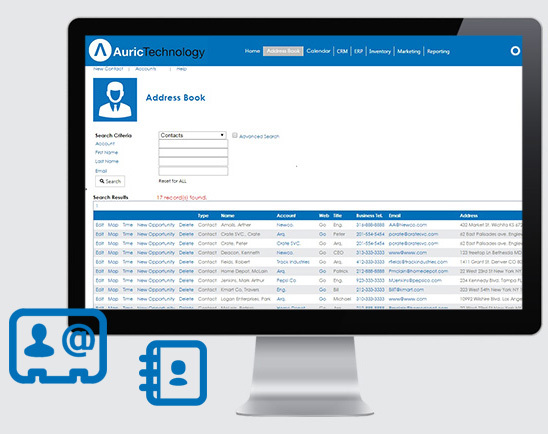 Auric Off Line allows you to feed complete information into your laptop, be it for adding contacts, opportunities & cases, or even processing sales orders. The CRM tool doesn’t stop you from working even when you are offline. 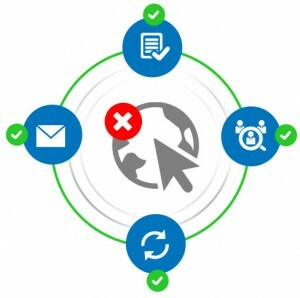 You can go ahead, synchronize your emails, and create marketing campaigns as well. When you can connect to the internet, your CRM will be actualized and you can keep track of your team’s tasks and interactions. 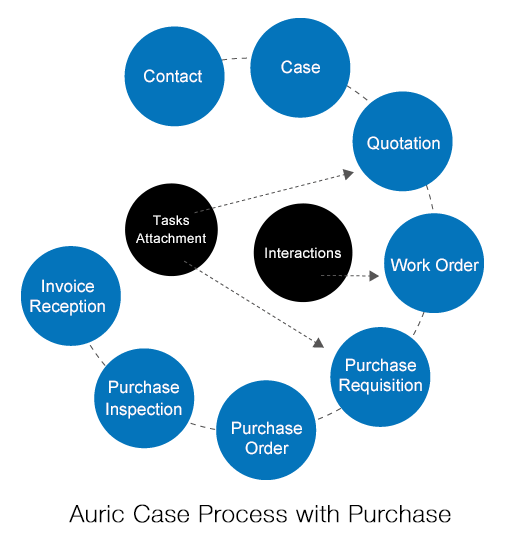 Auric Forms Management lets you control your sales force or service teams on field. The easy-to-use function is flexible and compatible with Android or iOS. Now you can create any digital form, and push it to any individual or group to fill up while on the field. Be in control of your operations with this extraordinary tool and use it to stay away from paper work. You have the liberty to add pictures, read bar codes, capture customer signatures, and record the time & location of the update into any smartphone or tablet. 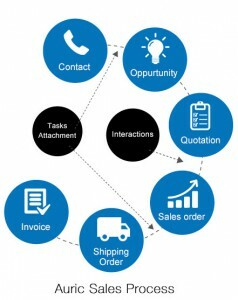 You can also receive service orders, quotations, visit reports, etc., and update your Auric CRM with the information. 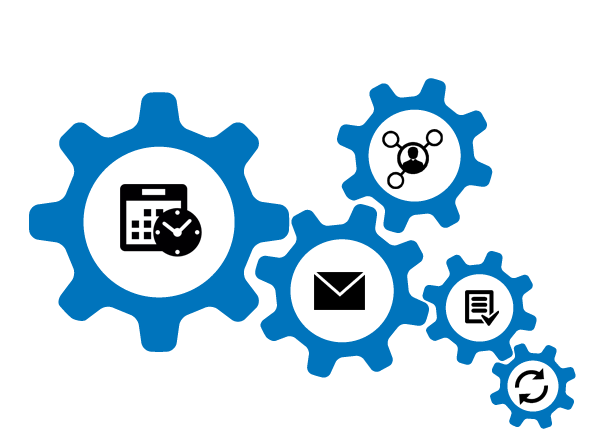 Auric Prospector streamlines your support services through the right triggers, prompts and automations intent on saving maximum time. The solution automates the entire workflow, which includes managing your team’s daily to-do lists as well. Enjoy granular visibility into case details & their statuses and enjoy fast access to the information (pre & post sales). This equips your team to know your customers, start meaningful conversations, and provide quality customer support. Gain the power to reduce your customer attrition rate by tracking each case through to its resolution. 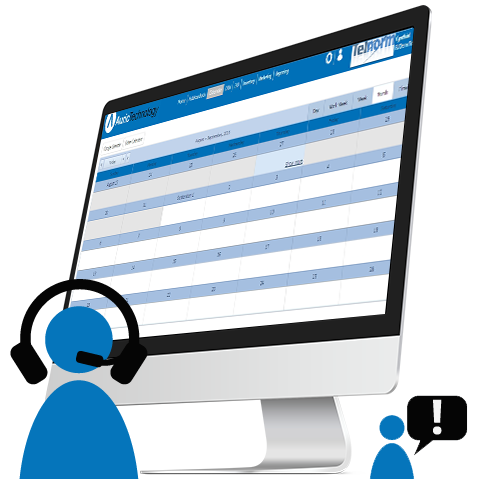 Customers can easily login, record, and track their own customer service issues. It is a quick way for the users to access information and remain updated. For the customer service team, it is a simple way to prevent our customers from getting irritated and bridge the gap with them to avoid any sort of miscommunication. Auric Prospector is the solution that upgrades your organization – from keeping customers satisfied to making them loyal.